3D Glass: 3D.Glass is Völkl’s latest development to furthermore improve overall ski performance and stability even in critical snow conditions. Compared to classic glass constructions the three-dimensional and multiple-folded glass layers in the binding area result in an increased edge grip and a more vivid rebound behavior in turns. 3D.Ridge Technology: Central Wood core Ridge with super slim wings to significantly reduce weight and swing weight and keep the stability where necessary. Our 3D.Ridge technology - is probably the most extreme and effective construction technique that currently exists. It has become a symbol of VÖLKL lightweight construction. The distinctive characteristic of this technology is a raised central ridge that sharply levels out towards the edges, both in front of and behind the binding. This reduces the inertial mass around the fulcrum to a minimum and significantly enhances the agility of the ski. At the same time, the center ridge allows for a precise dimensioning of the hardness distribution, which leads to an especially harmonious flex on the ski. Despite the weight savings, the 3D.Ridge ensures that there are no compromises in the ski‘s durability and elasticity. UVO: A Ultimate Vibration Object UVO is the first freely rotating, 360° vibration damper to apply cutting-edge vibration dampening technology to minimizing disruptive ski vibration. The terrain or surface below the ski inevitably generates vibrations, which in turn set the shovel in particular into motion in all directions. This significantly disrupts the smoothness of the ski-ride, and makes it harder to hold an edge. The revolutionary UVO technology counteracts this, with proven dampening or reduction of vibrations in the horizontal and vertical directions as well as along the length of the ski. The ride becomes smoother and the edge grip improves. XTD Tip & Tail Rocker: The ski has a variable edge length in the shovel and tail areas. The variable edge set between the shovel and tail makes the ski turn-happy. That in turn allows for a stiffer flex setup. Shoppers: WR XL 12 GW Bindings come in factory box. 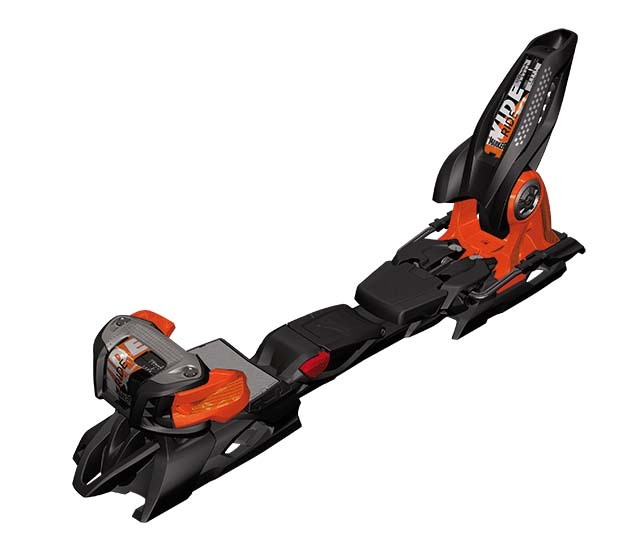 The Base/Track system is mounted by the manufacture so only assembly (no drilling) is needed to complete the installation of this model binding onto these skis.